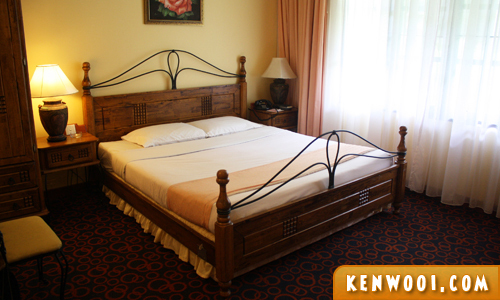 Cameron Highlands has been dedicated as a perfect place to rest and relax. It’s located on Titiwangsa Range at about 1,500 meters above the sea level, making the temperature cold which then enables the growth of fertile and lush greenery. Therefore, a cool and comfortable Trip to Cameron Highlands is always the purpose people look for at Cameron Highlands. 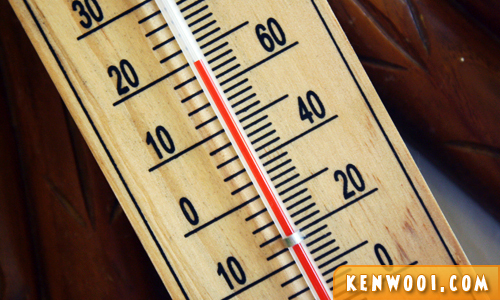 Besides the comfortable weather, the hotels there also play a role in providing comfort. It’s important to stay at hotels that gives you best value for comfort. So, let’s check out these 3 Top 3-star Cameron Highlands Hotels from Traveloka that are definitely comfortable! I’ve stayed in this hotel before and found that Casa dela Rosa is similar to the beautiful European country-style house amidst the greenery hills. It has 30 guestrooms, inclusive of a luxurious penthouse. All the rooms are uniquely designed with wooden furniture to embrace a classical interior. The rooms are also fitted with modern amenities, such as the air-conditioner, TV, refrigerator, coffee/tea maker, minibar, in-room safe, and luxurious bathroom. My 1-night stay there was really comfortable! The rooms come with either the garden view or the golf panoramic view. Moreover, the luxurious penthouse is really suitable for families who wish to have a more comfortable stay. 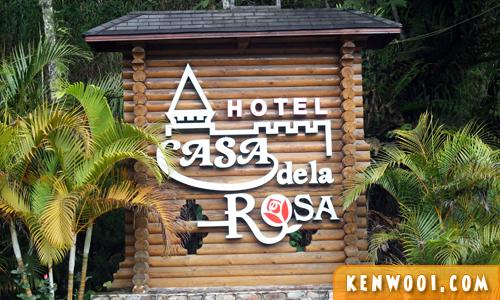 Casa dela Rosa has a rustic restaurant with various selections of oriental delicacies. There is a Golf View Terrace that offers an open terrace cafe concept which can also be used as a bar or reading lounge. As a 3-star Cameron Highland hotel, Casa dela Rosa comes with great facilities, such as sauna, jogging trail, meeting venue, lounge, and shuttle service within the city. The golf course and driving range are available nearby as well. Casa dela Rosa is located on Jalan Circular Lot 48 – only a 5-minutes drive from the Strawberry Farm and 30-minutes drive to the BOH Tea Plantation and Rose Valley Center. 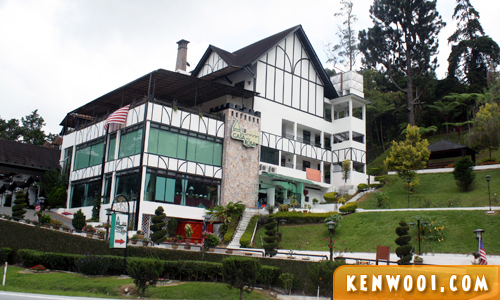 Rosa Passadena is one of the oldest well-managed hotels in Cameron Highland. The classic features still remain majestically from the facade to the interior design of the hotel. With 115 well-designed and fully-furnished guestrooms, each room has amenities such as air-conditioner, flat screen TV with in-house music and movies, in-room safe, coffee/tea maker, minibar, seating area, and bathroom. Guests with family and friends can book the more spacious Triple Superior Room or Deluxe Quad Room. 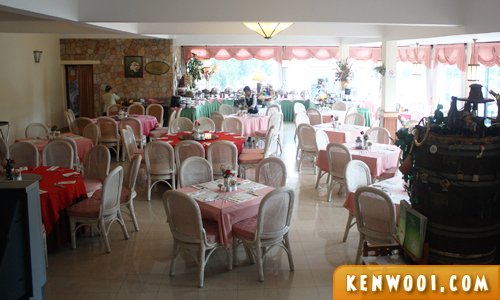 Rosa Passadena also houses 2 restaurants that serve local, western, and oriental cuisines. One of the restaurants has an in-house karaoke bar. The hotel also has indoor games, meeting facilities, tour arrangements, and also the Internet corner at the lobby. Rosa Passadena is located in the heart of Brinchang (Jalan Bandar Baru no.1). It’s only few minutes walk to the weekend night market and the strawberry farm where you can search for food in Cameron Highlands. Owned by the same group with the Rosa Passadena and Casa dela Rosa, Hotel De La Ferns is a beautiful 3-star hotel that embraces a similar European country-style. This boutique hotel in Cameron Highlands has 75 guestrooms, and all the rooms are nicely decorated with a unique Japanese-style sliding doors and wooden furniture. Amenities such as TV, air-conditioner, in-room safe, coffee/tea maker, minibar, and bathroom are available. Almost all the rooms have a private balcony overlooking the golf course. There are 2 tastefully-decorated Pentsuites that offer a breathtaking view of the golf course. They also have separated living area and a wide balcony. The Ferns Restaurant is the main dining outlet offering a wide selection of local and western delicacies, with Steamboat as its specialty. You can also savor some classic English Tea while being at the open-air venue called The Patio. The other facilities available at Hotel De La Ferns are porter service, Wi-Fi connection (only at public area and meeting venues), meeting venue, lounge, jogging trail, and business center. 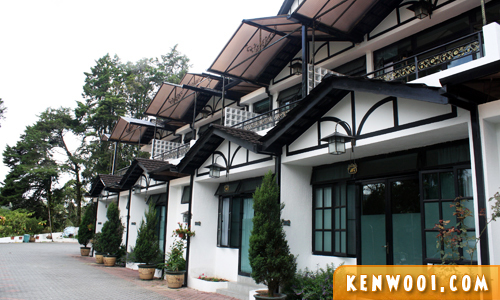 Hotel De La Ferns is located along Jalan Besar Batu 39, which is only a 3-minutes drive to Tanah Rata. Besides that, the strawberry farm, Orang Asli Settlement, Gunung Beremban, and Parit Waterfall are also easily accessed from the hotel. That’s it – the 3 Top 3-Star Hotels available at Cameron Highlands. So what are you waiting for?